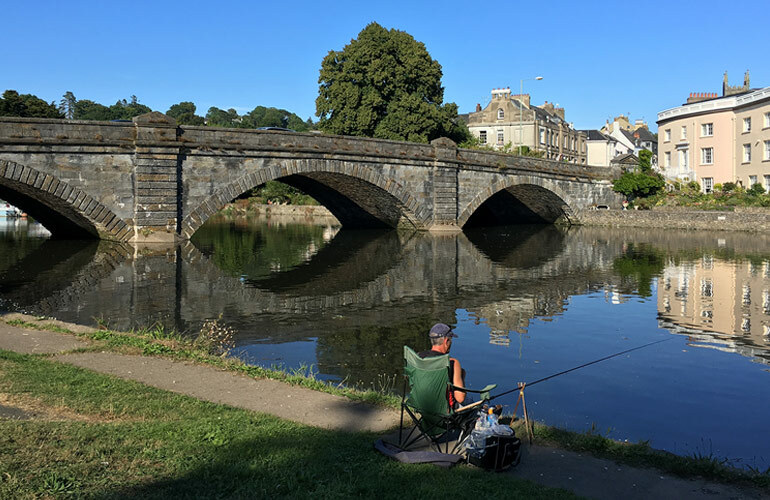 Totnes Bridge was designed by the Devon architect Charles Fowler. Constructed in 1828, it replaced an earlier bridge, the foundations of which can be seen at low tide. It leads to the attractive suburb of Bridgetown, to riverside walks, to Steamer Quay (for trips to Dartmouth) and to Vire Island, named after the Normandy town twinned with Totnes.